It is currently 38 degrees Celsius so that's 100 degrees Fahrenheit where I am now. 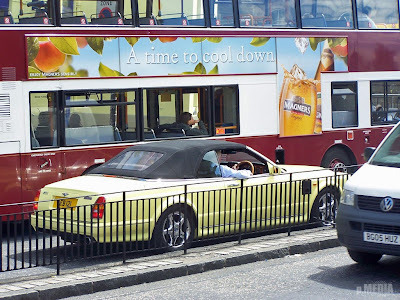 Which made me think of this image sent in by Pete. 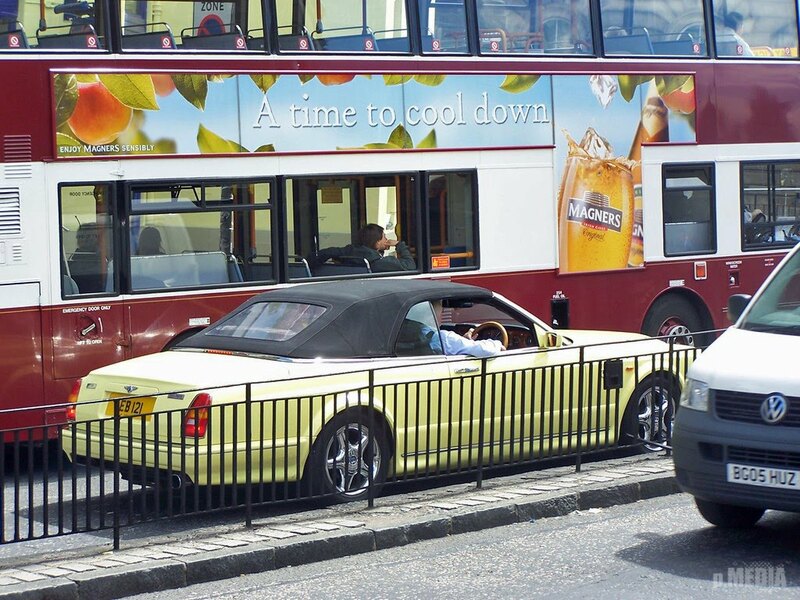 A time to cool down indeed, and how about that yellow Bentley Azure Mulliner - and beer!